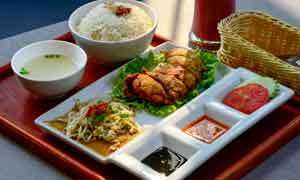 Kang’s Kitchen is a homely Korean Restaurant which is located on Horton place. It used to be called Seoul Kitchen, but it’s been revamped and everything is somewhat new now. Its exact address is 28/1 Horton Place, Colombo, and its located just past the Coffee Bean Car Park. 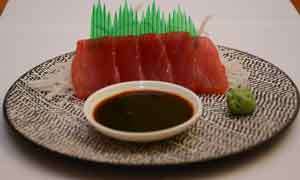 The staff at the restaurant are friendly and the food tastes great, it is completely worth it in terms of portion size and when it comes to meat, they’re absolutely not stingy at all. The restaurant in itself gives off a very homely vibe and if you’re a music lover you would definitely love their avant garde sound system. Kang’s Kitchen is a place you’ve got to visit in this lifetime, if you don’t it would be a adventure you’ve missed out on. This dish which is priced at 1500 rupees comes with 15 beautifully prepared chicken wings which are covered in spicy sauce and pieces of dried chilli and nuts. Along with this starter comes a host of other side dishes like Korean pancakes, Radish Kimchi, Pickled Cucumber, Omelette & Brinjals which are absolutely free. This dish tasted so good and was so worth the amount we paid for it, we arrived at a conclusion that it had to be the best version of chicken wings we’ve ever had in a long time. 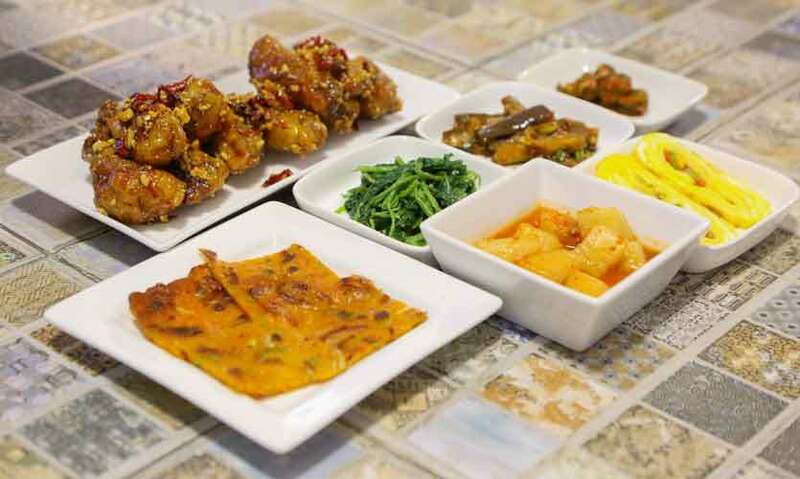 We would go so far as to encourage you to go Kang’s Kitchen immediately just to try that dish out. Trust us when we say it is absolutely worth the journey to the location and the amount you pay for it. Bibimbap is a Korean rice dish. And when we read into it more, we learned that the term “bibim” means mixing various ingredients, while the “bap” noun refers to rice. 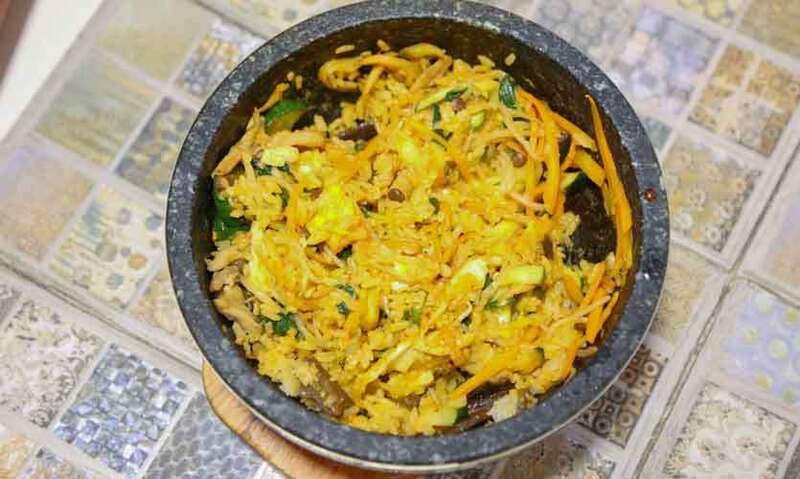 So, at Kangs Kitchen we tried the Bibimbap bowl out, and boy was it an adventure. Priced at 1400 rupees the bowl we tried came with Chicken, a sunny-side up egg and a whole ton of other veggies with a base of steamed rice. This dish is consumed in rather a different, yet easier way, so the owner came over and mixed the whole thing up before we tried it, which ideally is how it should be eaten. This has spicy sauce put into it as well, but they serve it separately so you can add it when you want to. It isn’t usually recommended for kids; however, it is something you definitely need to try, should you visit Kang’s Kitchen. This was easily our favourite main dish. 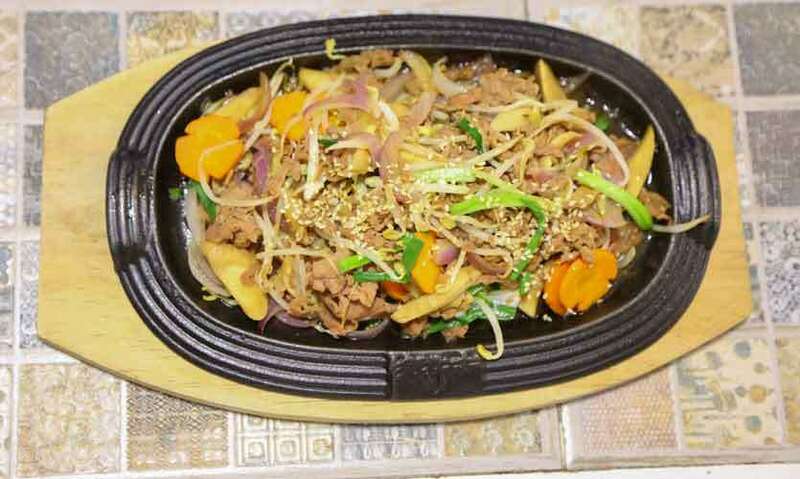 Bulgogi literally means “fire meat” and it is another traditional Korean dish, which we were told that is a favourite amongst kids. 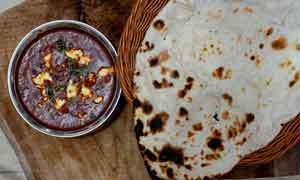 This dish which is priced at 1400 rupees as well, consists mainly of beef, been sprouts and veggies. It’s not spicy at all, in fact it’s a little sweet. Ideally it was supposed to come with a little steamed rice, but if you’re trying to avoid carbs, the dish is perfect on its own so don’t go for the steamed rice. Kang’s Kitchen is not stingy with its meats, and the serving size of the portion is enough to fill you up on its own without a starter or a drink, it really is that great. Now for Dessert we were informed that Koreans like to have coffee for dessert so at Kang’s Kitchen we had their Affogato & Cold Brew. One thing you must know about the coffee at Kang’s Kitchen is that it is a mix of Sri Lankan Coffee beans and Coffee Beans imported from South Korea. Additionally, the coffee is roasted inhouse, therefore it is a special blend that you will only find at Kang’s Kitchen. This version of coffee cooked up by team Kang has become such a success, they intend to launch their very own brand soon & we’re super excited about that as well. Before that let us tell you about the dessert. 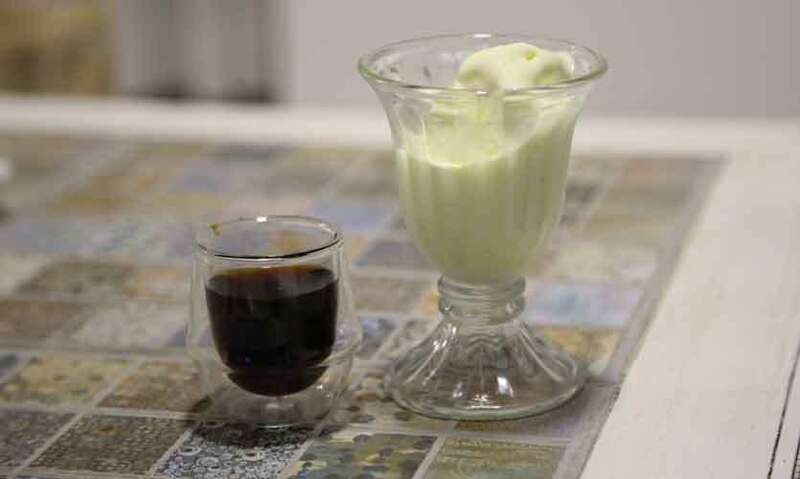 Affogato – This dessert came in two parts; one part was a small shot glass of Coffee while the other was scoop of Ice Cream. You’re supposed to mix both together and then enjoy an Ice Cream with that hint of good coffee bitterness. It was divine and a lovely dessert to have right after all that food. Cold Brew - This was basically and iced coffee except it had no milk and no sugar. It was just coffee in a tall glass full of Ice. As bland as that may sound it was perfect to wash down all the food that we had just stuffed our faces with. It’s light and ideally should be what everyone has after a heavy meal.